Entries from Digital Intelligence tagged with "foursquare"
Foursquare users can now tap an in-application button to order up an Uber ride, through a partnership with a deep-linking tech company called Button. Facebook has started highlighting local sights and restaurant tips based on a user’s location, as the social network takes on apps like FourSquare and Yelp. 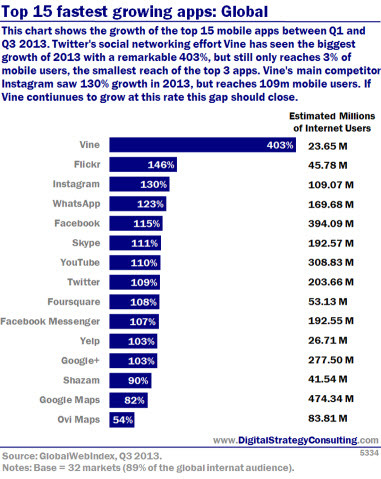 Mobile location social network Foursquare is the latest media owner to boost their do-it-yourself advertising tools. The Foursquare self-service advertising platform is particularly powerful for retailers in the markets where Foursquare has reached critical mass, and the tool makes local mobile advertising easily achievable. TV loyalty rewards service Viggle is buying social network GetGlue for $25 million and 48.3 million shares of stock. GetGlue works in a similar way to FourSquare, giving users virtual stickers for checking in while watching shows or movies. Those virtual stickers are then turned into real-life ones and mailed to users for their collection. Yahoo has sold back half of its stake in Chinese internet giant Alibaba for $7.6bn (£4.7bn), in a move that has fuelled speculation that the firm could use the cash to bid for a hot web property, such as Pinterest or Foursquare. As the first 'social' Olympics gets underway, some over-zealous sponsors are already feeling the wrath of Twitter users, and this month we look at why brands are succeeding (and failing) at the games. July was another tough month for Facebook, as its ad revenue growth dipped and shares fell. The social network has come under fire for allegations that bots are creating fake 'likes' - ramping up the prices for ads. Can Facebook stem the flow of bad publicity and turn its mobile growth into profits? We've got Zuckerberg's latest attempts at monetisation below, including job boards, a 'want' button and social search ads. Google and Apple's rivalry has intensified, as the £159 Nexus 7 goes on sale to undercut the iPad. Leaked videos and reports suggest Apple will respond with a majorly revamped iPhone and iPad Mini this September - we've got the video below, (possibly) offering the first glimpse of the iPhone 5. Top data this month looks at ad spend growth around the world, with digital leading the way in all territories. We also compare mobile ad revenues from Facebook and Twitter, and have the latest infographics on social media ROI along with the best times to post brand messages on Facebook and Twitter - can you guess the top weekly time slot to reach your audience? Location-based social network Foursquare has teamed up with American Express to launch a range of voucher-free offers in the UK, following a similar campaign in the US last year. Foursquare co-founder Dennis Crowley said he believes the new service will help the location-based social network reach the same popularity in the UK as it has in the US within “another year or so”. The top UK attractions, such as the O2, Wembley Stadium and Hyde Park, attracted five times more online ‘check-ins’ from Facebook Places that Foursquare, according to a new study. The findings come from VisitBritain's Love UK's Top50 Places Facebook campaign, which was developed by Betapond. 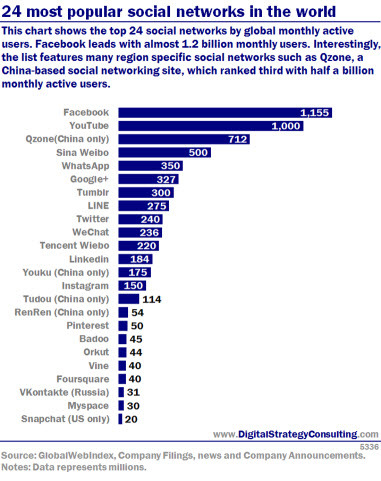 While nearly 1 million (955,437) check-ins originated from Facebook Places just 176,724 came from Foursquare. Facebook is phasing out its 'Places' feature in its iPhone and Android apps, as the social network expands it location tool to photos, wall posts and more. The move will see Facebook Places removed as a standalone feature in the company's iPhone and Android apps. When it launched last year, the feature was presented as a potential Foursquare-killer, bringing the idea of mobile check-ins to Facebook's several hundred million users. The Sunday Times has launched the ‘Social List’, using data from 4 key social networks - Foursquare, Twitter, LinkedIn and Facebook – to measure a person’s influence online. Free to join, participants will need to link up whichever social networks they use and want to be included. Every morning The Sunday Times Social List will make its calculations. People's results will change daily as new people join and scores are updated. Sony has teamed up with location based service to provide customers exclusive offers based on their mobile locations. Foursquare users can now ‘check-in’ to selected locations across Europe to receive special promotions on Sony 3D products in store. The FourSquare partnership will invite users to visit and ‘check-in’ to stores where Sony’s 3D BRAVIA TVs, Blu-ray players and PlayStation 3 can be experienced and demonstrated by Sony promoters. Google has updated its location service Latitude, letting mobile users check into spots on the go. 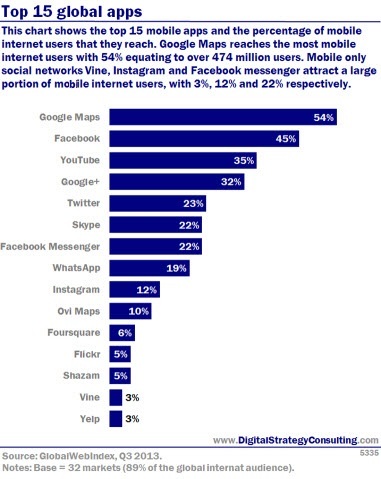 The move sees the Internet giant encroach on the likes of Facebook’s Places service, alongside Foursquare and Gowalla. The check-in feature was added to a Latitude service that lets people with GPS-enabled Android smartphones share their whereabouts with selected friends. Facebook has launched its Places service in the UK, as the social network looks to take advantage of the growing demand for location-based apps such as Foursquare, Gowalla, and Google's Latitude service.The new tool allows users ‘check in’ wherever they are and see who among their friends and other Facebook users is - or has been - at the same location. The move will also give Facebook a new channel for advertisers to target its audience by location, listing nearby businesses and attractions. Facebook will target the locations it lists to each Places user. To ensure users privacy, Facebook Places has numerous privacy controls in place to control the amount of location information that is shared. Facebook's 500 million-plus users will soon be able to track friends' whereabouts across the US. The new "Places" feature begins rolling out on Wednesday to some users and goes across the US within weeks. The tool help users share where they are, figure out who is in the vicinity, and check out happenings and services within the same locale. The feature will put the social network in competition with the increasingly popular location services like Foursquare, Gowalla and Loopt, which allow consumers to use their mobile phones to keep track of their friends whereabouts and earn rewards for frequenting brick-and-mortar businesses, have caught on among technology aficionados. Facebook and Yahoo both unsuccessfully sought to acquire Foursquare earlier this year, according to media reports. Location-based social network Foursquare is reportedly in talks with major companies in the search space, including giants such as Google, Microsoft and Yahoo. In an interview with the Telegraph, Foursquare's co-founder Dennis Crowley said the talks could lets people search for local information provided by Foursquare on major search engines. “Our data generates hugely interesting trends which would enrich search,” Crowley said.